This was my first year growing these! To be honest, I didn’t even know what they were when I got the seeds with my heirloom seed collection. After research, I decided I would give them a try. I started the seeds indoors along with my tomatoes and peppers way back in April and they did nothing! Or so I thought. When I went to plant my peppers, I noticed that they had sprouted roots. So, I gave them a shot and put them in the garden. They were slow growers, but I did end up getting 3 delicious melons from those 2 plants! 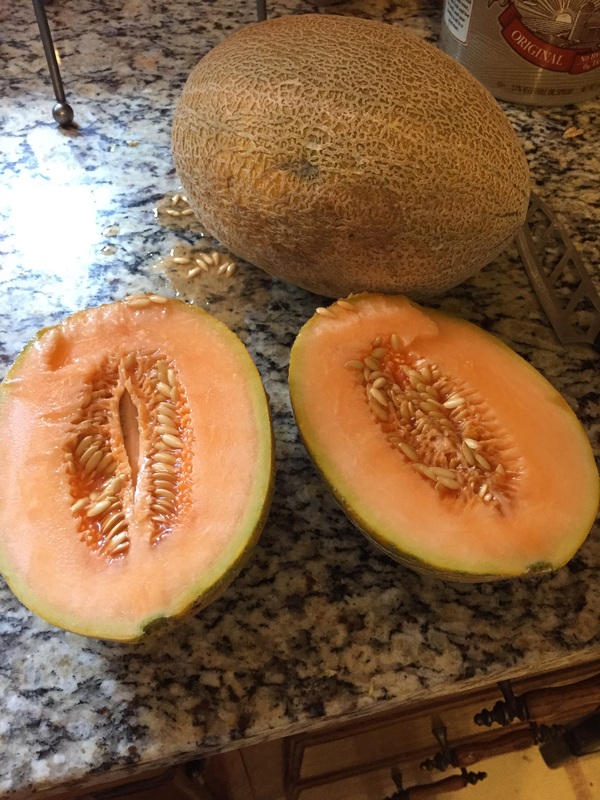 I normally don’t even like cantaloupe, but it turns out when it’s really fresh and right out of your own garden it tastes amazing! Even the Mr. likes it! 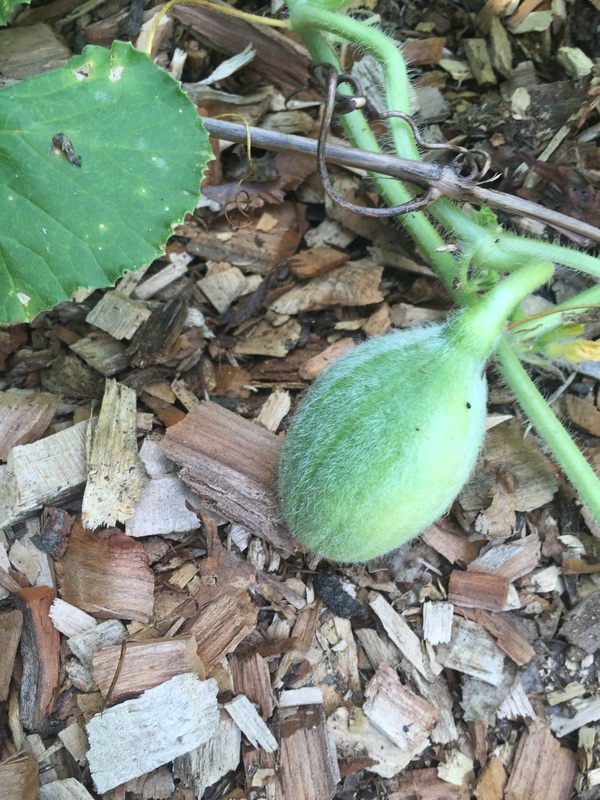 2 of our 3 melons! After this season, I believe that they have earned a spot in the 2015-2016 garden! I still can’t believe that Fall is almost here! 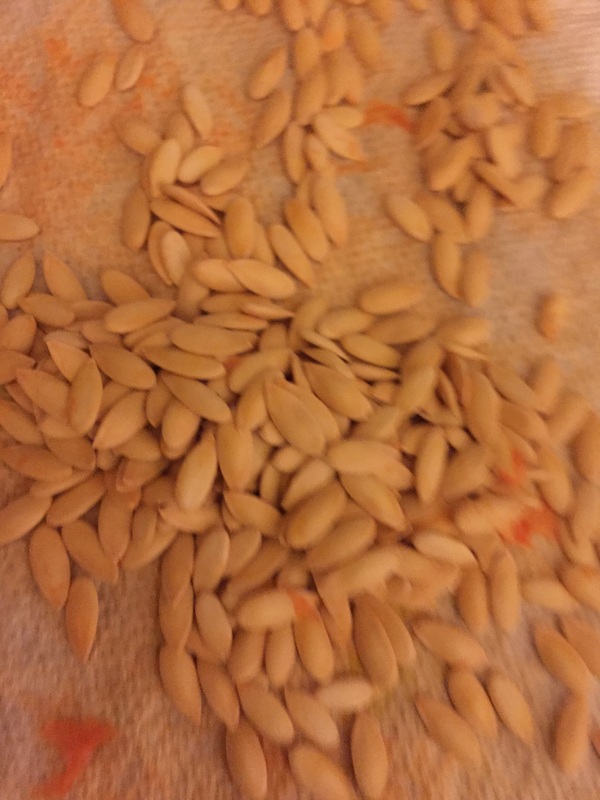 I have saved some seeds and I will see how they grow next year!